You’d be hard pressed to find a large streamer that doesn’t Tweet constantly, and some even tell their viewers how great it is. So clearly, Twitter is a big deal. The question is… what’s the best way to use it? Fortunately for us, Twitter has been the subject of quite a few studies over the years. While it’s difficult to get data specific to Twitch streamers (more on that later), there are a lot of general studies with lessons that we can apply to Twitch streamers on Twitter. How many tweets should we aim for each day, according to research? What kinds of content (hashtags, images, mentions, etc) should we include in tweets for maximum impact? What else should we know about Twitter? I was pretty surprised by the answers I found, especially for the third question. How Many Times Should I Tweet Each Day? This is one question that I see a lot, particularly from new streamers. If you ask around, you’ll get a lot of different answers. Some streamers say that one tweet a day is plenty; others will tell you that anything less than 5 is pointless. Interestingly, research is sort of similar. There’s a lot of debate about what the “magic number” for Tweeting is, even scientifically. However, there are some trends that can help. Basically, if you want to aim for a number of tweets each day, try for 3-5. A 2013 study from Social Bakers tested a random sample of 11K tweets, and found the sweet spot for average engagement to be about 3 tweets. Similarly, a 2012 Track study found that Retweets specifically increase with tweets up to 4-5, and then fall off before increasing again. If you have time to Tweet more, go for it! An important note on these studies – both are a few years old at this point (the Twitter hype has died down a bit since it launched). However, we think they are still relatively valid when compared with our own Twitter analytics data. To get the best strategy for your stream, be sure to take a look at your own Twitter analytics data! If you’re looking to start Tweeting, aim for 3 tweets each day. If you want to push a stretch goal, bump that up to 5. What Should I Include In My Tweets? There are a lot of great ways to spice up your Tweets – pictures, GIFs, links, hashtags, etc. So, what are the best things to include in a Tweet to help it stand out? Let’s take a look at what research says. This is one that everyone sort of knows, but the research is still pretty overwhelming! 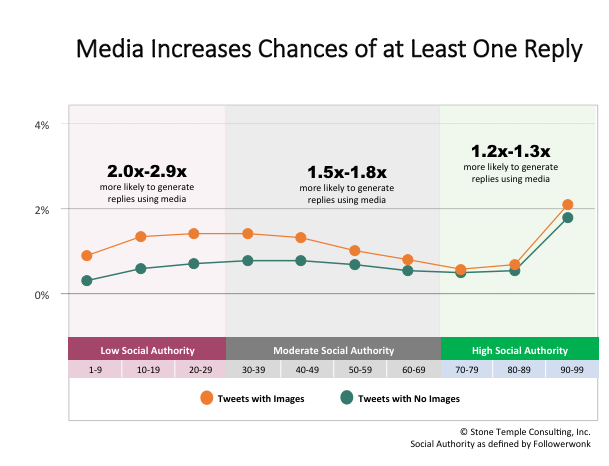 A number of studies (1, 2, 3) have found images to be the single most powerful way to increase Tweet engagement. Simply including an image can be enough to triple favorites and retweets. Surprisingly, a few studies found that including links in tweets can actually hurt you more than help. For subjects with a low to moderate social authority, tweets with links performed worse than those without. Of course, as a Twitch streamer, you have to drop that link at some point. Our advice to you is to mix up your tweets – be sure to have a fair number of tweets without links to drive engagement with your community! Hashtags slightly increase engagement in Tweets, but not much. Overall, you should use hashtags in your tweets, but don’t bank on them for success. Images/videos are much more effective than hashtags for engagement. Streamer hashtags may be a different beast – we’re hoping to test this soon. More below! Mentions seem to have conflicting results in studies. The key factor seems to be social authority; that is, the level of influence that a user has on Twitter. For low social authority accounts, mentions are actually somewhat useful. However, if you have moderate-to-high social authority, mentions can actually backfire. An important note – even though research supports mentions, be careful not to dump mentions on Twitter. Mass-mentioning not only violates Twitter TOS, it also just looks bad to everyone else. use links only when necessary. What Else Should I Know About Twitter? During my research, I discovered a few more bits of Twitter knowledge that didn’t fit nicely in the last two categories. 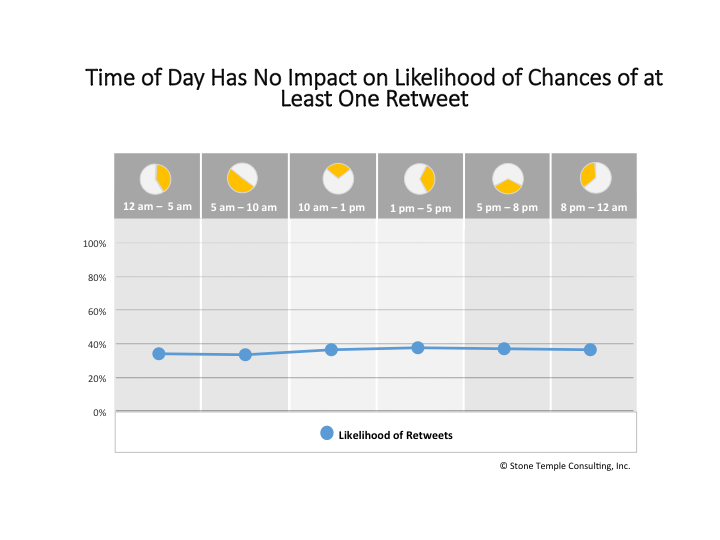 In most of the studies I looked at, time of day had little impact on tweet engagement. Be careful of sources like this one that tell you to post at certain times of the day. The pictures are fancy, but when you look a bit deeper, there’s no actual data to support their advice. I was surprised to learn that similar repeated tweets can actually still drive decent engagement. According to this study from Wisemetrics, you can still have about 60% of your original tweet’s engagement after tweeting about the same news 6 times. That said, do NOT use copy-and-paste repeat tweets. Be sure to change up the wording. Repeating identical tweets is a violation of Twitter TOS. If you’re not doing it yet, you probably should be. 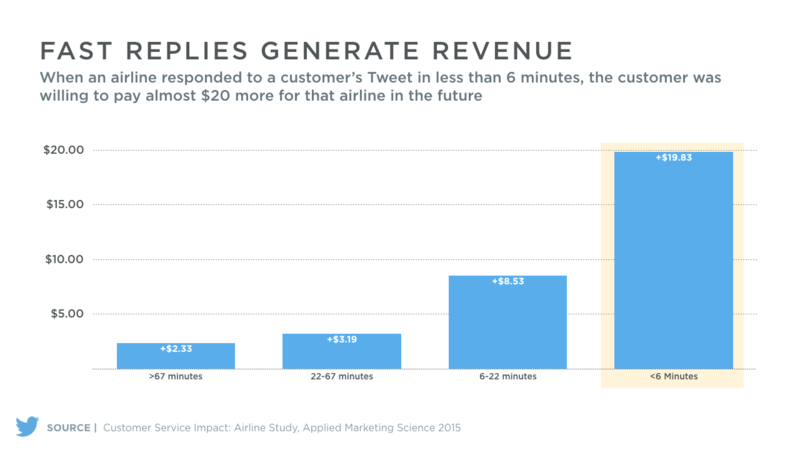 Although focused mainly on business use, a number of recent studies have found replying to Tweets to be one of the most effective way to drive sales, clicks, and engagement. Again, although this study was business-focused, the findings absolutely translate to Twitch streamers. The faster and more often you can reply to members of your community when they Tweet at you, the more commitment they will feel towards you. That pretty much wraps up my findings for this first article. Twitter is a BIG topic though, so you can expect a part 2 at some point in the future, specifically targeted at Twitch streamer data on Twitch.